The small white flower buds on a dark blue (cobalt) background looks very elegantly! Delicate little forget-me-different shades soften this contrast. Such a panel would not go unnoticed in your interior! 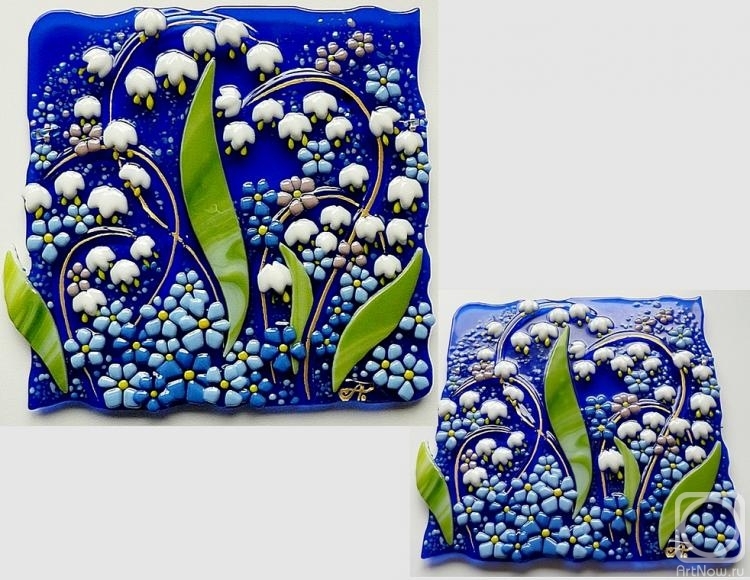 Instead of the panel can I do a clock or a dish of a similar composition, it will be a little more expensive than in the same size, but the size can be made another - within the 40x40 cm with a reasonable price adjustment.